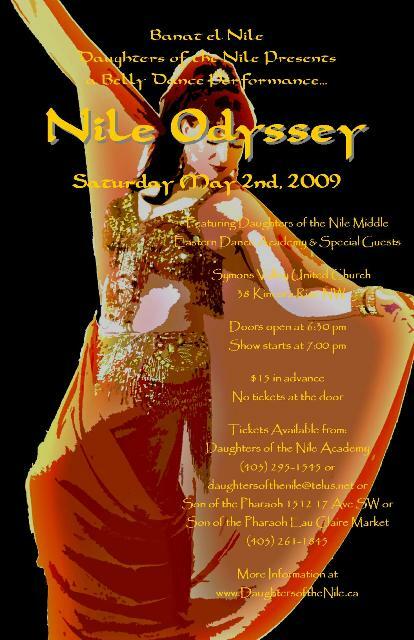 the Nile Odyssey 2009 belly dance performance held on Saturday May 2nd, 2009! The show featured Daughters of the Nile Middle Eastern Dance Academy & Special Guests at the Symons Valley United Church in Calgary! To view our photos from the show, have a look below.